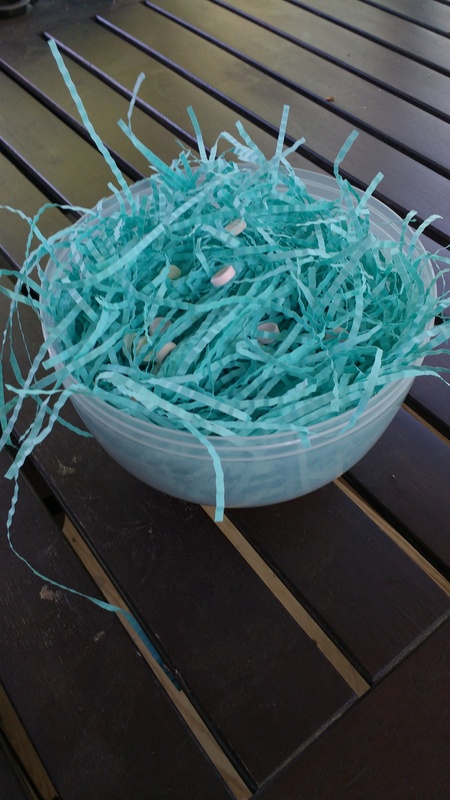 Last night we hid Easter baskets and candy-filled eggs around the house, and left the kids a note. Henry burst into our room this morning to ask if they were really allowed to find their eggs, and Bob got up to help them. Lo and behold, they made me a basket out of the big egg the fillable eggs came in and Henry’s basket grass. 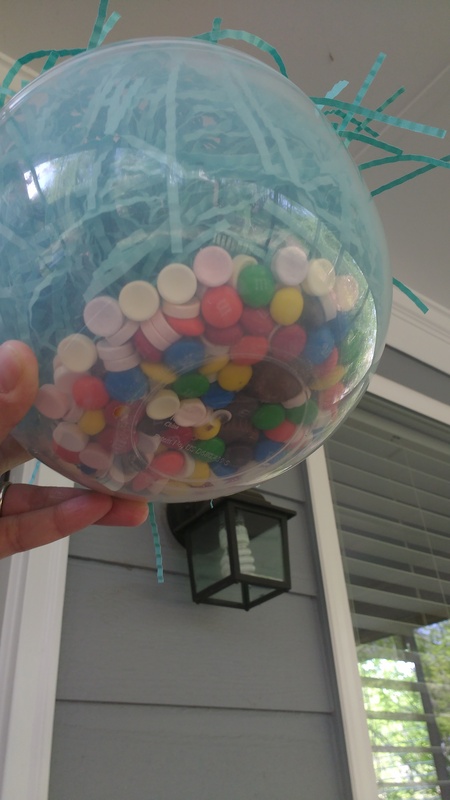 There is a ton of candy on the bottom! 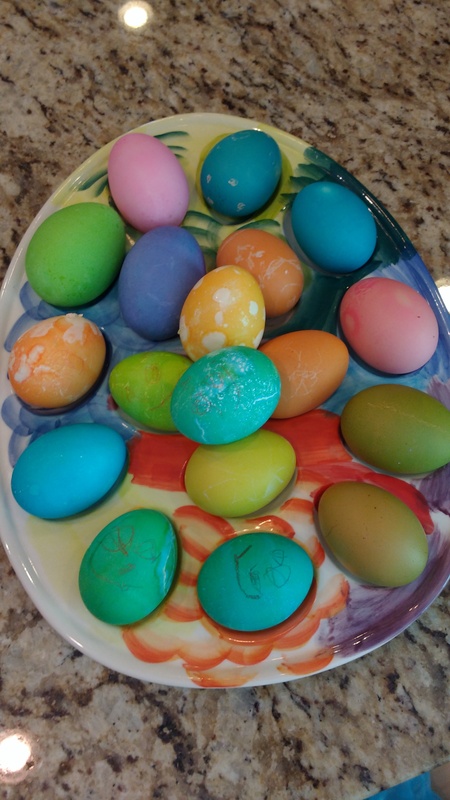 And yesterday we dyed some eggs, including 3 duck eggs.